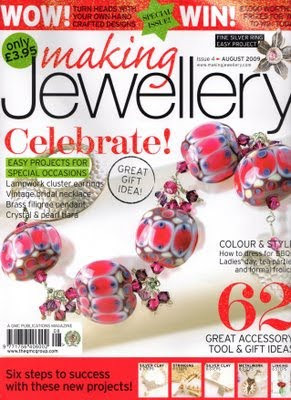 I was so excited last time I was asked to do a magazine feature in Making jewellery magazine and now I have been asked to be featured in Make jewellery Magazine. It's such an honour to be asked to show my work to other readers, seeing my designs in print really does make me smile. I don't have a specific date for the feature as yet but so far I have been told it should be in March. I will keep you posted as soon as I find out more!